A.L.C. 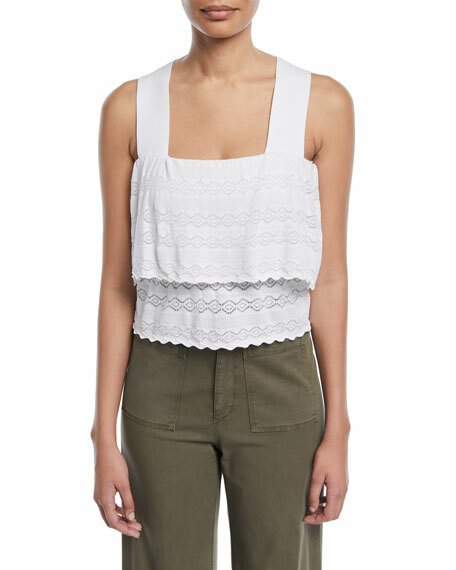 "Coppola" tiered lace top. 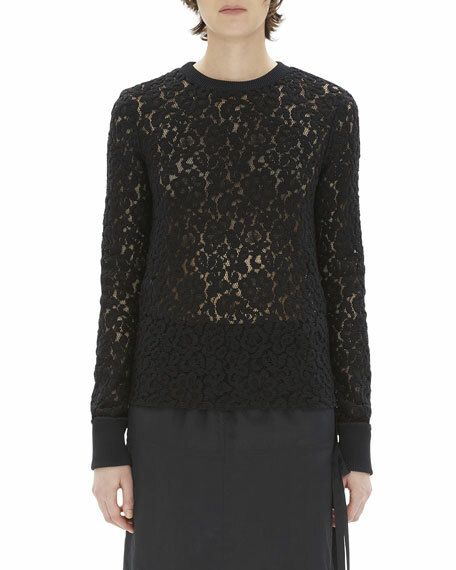 Helmut Lang semisheer lace top. 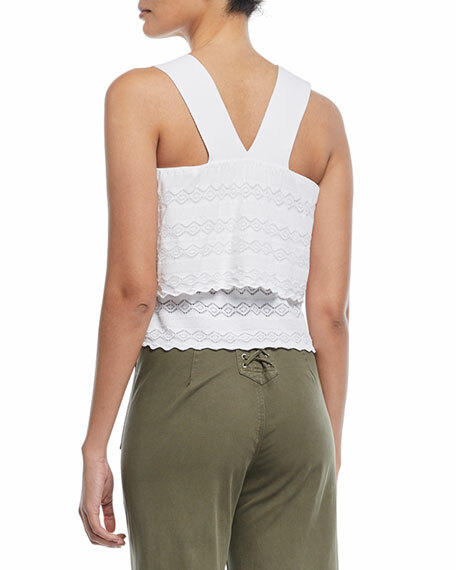 Crew neckline; ribbed band. Long sleeves; ribbed cuffs. Semi-fitted. Straight hem. Pullover style. Cotton/nylon. Imported. 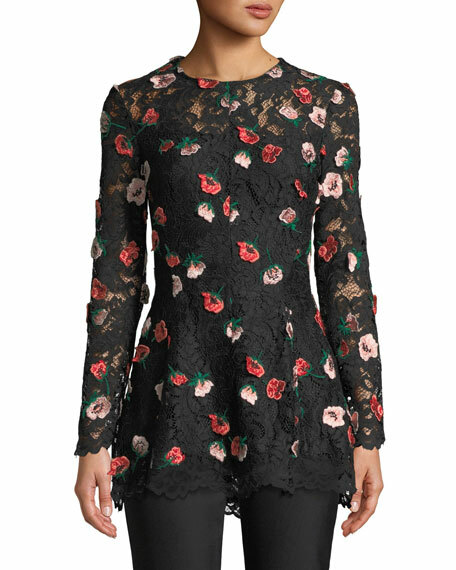 Lela Rose lace top with floral-appliques. Crew neckline. Long sleeves. 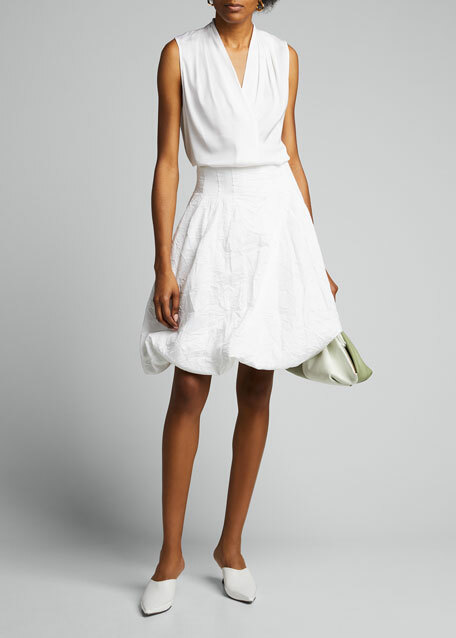 Fit-and-flare silhouette. Hidden back zip. 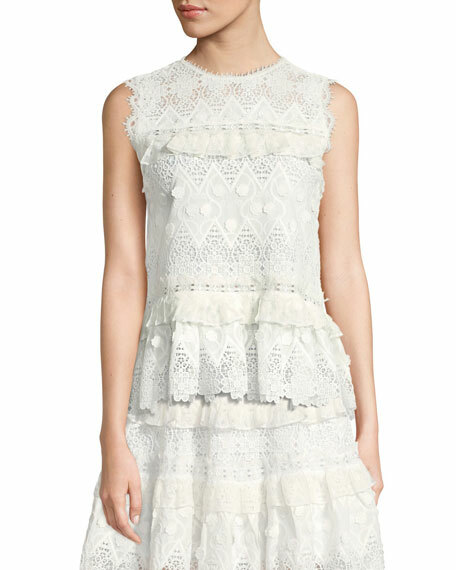 Scalloped hem. Polyester/viscose/cotton. Lining, polyester. Made in USA of Italian materials.